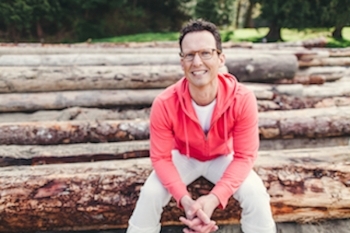 Brad Waites is one of fewer than 40 teachers worldwide to be certified at the 2,000-hour level by the College of Purna Yoga, and is currently a member of the college faculty. After a career as a partner in a civil-litigation law firm, he began pursuing yoga as a means of self-empowerment and self-fulfillment. Years of study led him to Purna Yoga, which seeks to evolve the consciousness of all humanity. He also holds a professional level teacher's certificate from Kripalu Center for Yoga and Health, where he lived and taught for several years. Brad leads workshops and classes throughout North America. He has a special interest in introducing students to the beauty of yoga philosophy. This immersion into the Purna Yoga Hip Opening Series is going to be the ultimate hip-opening tutorial. If you’ve never learned the series before, it will teach you not only how to open your hips in all directions, but also how to balance them, thus alleviating and preventing poor posture, knee issues, back pain, and hip deterioration. If you already know the series, we are going to take it much deeper in this intensive; you will learn how to manually traction the hip socket for deeper release and healing, and how you can use the physiology of the series to create psychological growth. Deep and juicy, this is an essential workshop for all yoga teachers and students who want to understand the mechanics of the hips, the best techniques for cultivating flexibility, and the potential for emotional healing held in working with the hips. Lower back pain is common in our high-stress society. Brad shares what he has learned while healing his own serious lower back injuries through teaching asana sequences, pranayama (yogic breathing techniques), important nutritional infor-mation, and meditation techniques so you can begin the process of healing. For the hips to remain healthy and functional, they must be balanced. Generally, we focus on opening the hip in two or three directions, but the hip joint actually moves eight ways and must be worked consistently and effectively in all directions. Otherwise, we create imbalances in the hip that lead to a host of problems, not just in the pelvis but also in the knees and low back. This workshop will teach you a safe, effective and easy series to open the hips. This workshop is a must for all teachers and serious practitioners of yoga. The series is also the magic bullet for healing knee pain and low back pain. It is no surprise that the American Medical Association recognizes yoga as a reso-lution for Carpal Tunnel Syndrome. In this class you will learn the underlying causes of arm and wrist pain, starting from the spine all the way to the fingertips. Discover sequences for opening the shoulders, elbows, and wrists, as well as unique methodology for strengthening these three joints. Many knee problems originate in the hips or the ankles. Purna Yoga™™ teaches how to balance the hips and strengthen your ankles to protect your knees. Brad will teach many neat knee tricks for aligning the knee joint, as well as strengthen-ing the knee while promoting a smooth energy flow through your knees to facili-tate healing. If you want to do inversions (including downward-facing dog), hand balances or chaturanga safely, you had better be best friends with your serratus anterior: it’s the primary muscle for creating shoulder safety in these postures. Come and learn all things serratus, from its location and function to creative ways to access and strengthen it. We will also release the holding of muscles in the upper back, shoulders and neck that tend to undermine effective use of the serratus. You will leave confident you are getting the most out of this essential but underused muscle.